Onion sausage from Burgos is recognized as the best onion sausage in the world. Onion sausage from Burgos is made essentially with onions, rice, pork lard and blood, with added salt, pepper, paprika and oregano, depending on who is making it. 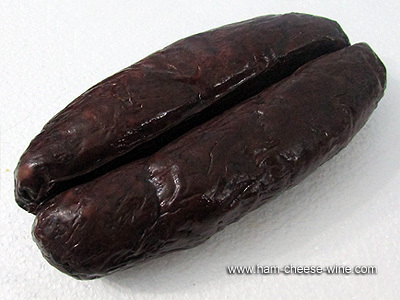 Onion sausage from Burgos has the remarkable feature of being dark brown, almost black. Made from pigs, its strong but defined flavor makes it one of the Spanish delicacies and especially in the province of Burgos. An onion sausage or rice sausage as it’s also called, due in part to the presence of these two ingredients that yield its characteristic flavor. The onion sausage is a product that has been made for many years in the town of Burgos, Spain, associated with pig slaughtering and made with parts of this animal. Originally the sausage was made from the blood, guts and lard of the slaughtered animal and some vegetable components such as onion, pepper and spices were added. It was not until after the eighteenth century when the rice was allowed and this product came to be a part in the making of Onion sausage from Burgos. 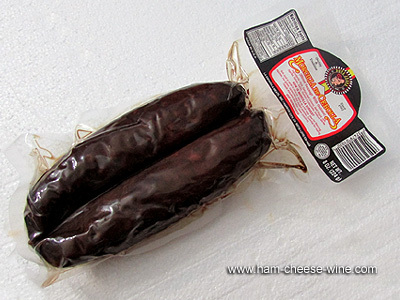 This onion sausage is presented in packages of two, each package weighs about 0.5 pounds (8 ounces). Onion sausage from Burgos is an excellent dish recommended for all but especially for children and pregnant women as a source of iron. Being onions a key ingredient in the production of an onion sausage, those selected are of the large variety with a strong flavor and itching, high performance, long cycle, firm and long-life protective shell. In the Onion sausage from Burgos the rice added is precooked to allow for expansion along with the spices so you get this phenomenal sausage with strong flavor that makes it a wonderful product for your kitchen. smoked, cooked with beans, lentils or chickpeas or as stuffing for peppers. 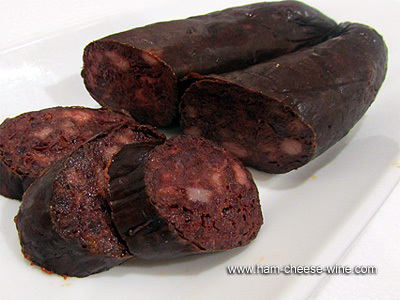 Onion sausage from Burgos is the perfect companion for dishes of the so called new cuisine as lasagne, pizza and creams. Why add Onion sausage from Burgos to my diet? 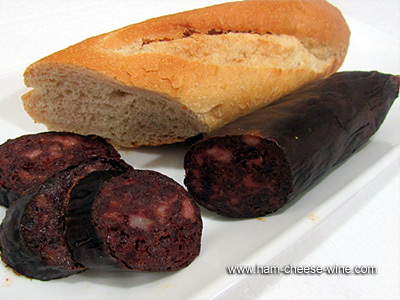 Onion sausage from Burgos, also called black sausage, is a food of high caloric value, a rich source of energy with a high protein and fats content mainly from its ingredients of animal origin. This onion sausage has a glucoside content from rice and onion, and the combination of the raw materials that gives it a protein supplement allowing an adequate supply of essential amino acids for the human body. With a smooth uniform texture and enriched aroma from the spices used in its preparation, Onion sausage from Burgos is the most consumed onion sausage in the world. The pigs used are traditionally bred, fattened with plenty of carbohydrates and accelerating the final fattening of mature individuals, which makes them tasty and rich in lard.